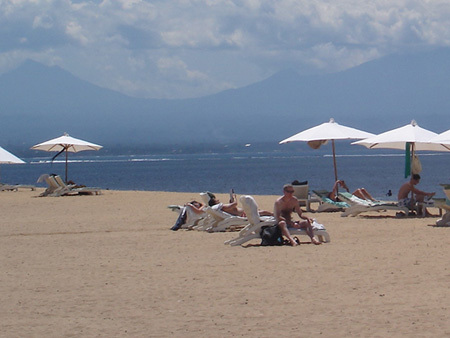 Bali enjoys a tropical climate thanks to its location just below the equator. If you’re backpacking to Bali you can expect it to be warm and sunny all year round, although there is a ‘rainy’ season which runs between October and March. During ‘summer’ from March to October, the island experiences dry weather and sunny days so, barring some unfortunate weather, you can expect to be working on your tan on the beach. It may feel a bit cooler at night because there is much less humidity, so if you’re backpacking to Bali in ‘summer’ you may need a cardigan for the evenings.